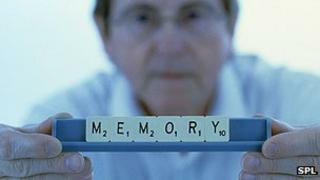 British researchers have developed a test to detect Alzheimer's disease in its earliest stages. It works by looking for a combination of "markers" in the blood which are different in healthy people and those with the disease. Delegates at the Alzheimer's Research UK Conference heard that the University of Nottingham is now developing a quick and easy test to do in clinics. It could mean much earlier diagnosis and better treatments, they said. The test uses some proteins that have been strongly linked with Alzheimer's disease, such as amyloid and APOE. But through careful analysis of blood from people with the disease, as well as those with early-stage memory problems, the researchers detected some other markers that were suggestive of the disease. Most notably, some proteins related to inflammation seem to have been added to increase the power of the test. Prof Kevin Morgan from the University of Nottingham said they still had to validate the test and it could be a decade before it was used in patients. But he added that the combination of markers they had found was looking very promising. "Our findings are exciting because they show that it is technically possible to distinguish between healthy people and those with Alzheimer's using a blood test. "As blood tests are a fast and easy way of aiding diagnosis, we are really encouraged by these findings and the potential they hold for the future." He said there were several ways the test could benefit patients, including giving people a definitive diagnosis, which was not always possible at the moment. It could also direct future therapies to make sure patients were getting the most appropriate treatment, he explained. Potentially, it could be a "cheap and easy pre-screen" test which enabled Alzheimer's to be picked up before symptoms appeared, he said. "The way we see it working is you can test people and it will tell them if they have the all-clear, or if they are medium- or high-risk. "If they are medium-risk, they can be monitored closely and high-risk patients can be referred to a specialist for more in-depth testing." Dr Eric Karran, director of Research at Alzheimer's Research UK, said: "Giving people with dementia an accurate diagnosis is not always easy, and so building up our armoury of diagnostic techniques is vital. "While there is still some way to go before a test like this could become available, the results are promising. "When used alongside other diagnostic techniques, a blood test like this could be a real help."